As long as video games exist, so will Mario. The little Italian plumber has starred in over 200 games (this article from 2012 suggests he was at 188), appearing in 6 last year and a whopping 9 in 2013. He’s already down for 3 games this year! So why is he so popular? Simple: he’s never, ever starred in a bad game. Seriously, try and think of one. We can’t! Call of Duty is a money-making machine, generating over $10 billion in revenue since it began back in 2003. Scarily, it’s showing no sign of slowing down anytime soon either: last year’s Advanced Warfare outsold the previous year’s Ghosts in the UK. The only way the Call of Duty franchise will ever end is if we all collectively agree not to buy the next one, and we all know that won’t happen. Everyone’s favourite ghost-gobbling yellow blob is 35 years old this year but still going strong. He’s starred in 2 games over the past 2 years (Pac-Man and the Ghostly Adventures 1 & 2) and his appearance in Budweiser’s Super Bowl commercial this year suggests his hunger for dubious yellow pills has yet to be fully satisfied. Poor old Sonic has fallen from grace since his debut 23 years ago, with most of his modern games met with poor reviews and falling sales. And yet, the games keep on coming. Over the past 10 years, Sonic has starred in 31 games. Even last year’s Sonic Boom: The Rise of Lyric, which apparently sold poorly, might not end Sonic’s prolific streak, with a number of mobile games planned. 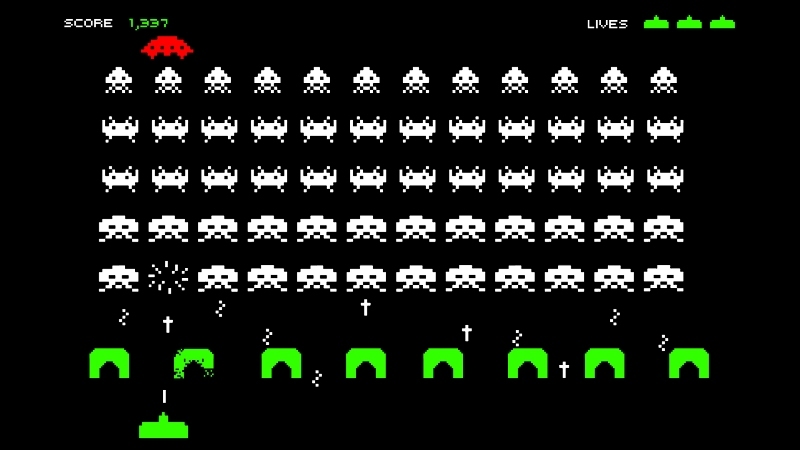 6 years have passed since the last Space Invaders game but there have been hints of a revival brewing. Apparently a movie is on the horizon, which is almost bound to have a spin-off, and the game is 40 in 2018, which will definitely lead to another game. And then we’ll get one at 50, and 60 and…well, you can see where we’re going with this. The Sims franchise has sold over 175 million copies in total. We wonder how many people who bought one of those copies ended up killing their sim in a fire and feeling really weird about it for a couple of days after. Just us? Okay then..
Only two things can survive a nuclear explosions: cockroaches and Tetris. 4 versions of the legendary puzzler were released last year, with over 140 million copies sold over since the game was first launched in 1984. With a Tetris movie on the way, our favourite blocks will be with us for a while yet. 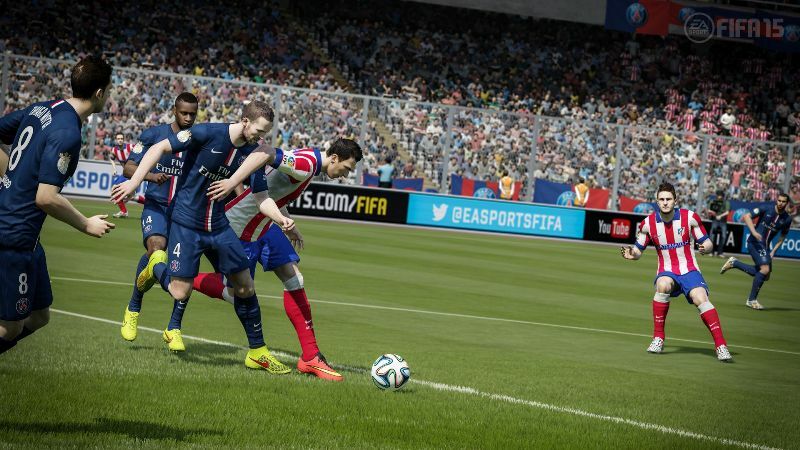 FIFA 15 was the biggest selling video game in the UK last year, shifting over 2 million copies. That’s some feat consider it was only released in September! The only way EA’s monster football franchise will lose its popularity is if a) EA lose all the licenses they’ve gathered over the years or b) everyone collectively decides they hate football. Both seem hugely unlikely. Here’s a fun fact for you: the Just Dance franchise has sold 59 million copies in total, more than the Pac-Man, Tomb Raider and Tekken franchises. Apparently nothing shifts games quite like giving people the opportunity to embarrass themselves to Gangnam Style. Mortal Kombat has survived numerous controversies, a couple of bans and a few genuinely terrible films to become one of the biggest fighting game franchises ever (only Tekken is bigger). A new game is being released this year because no matter what the year is, people will never, ever get sick of unspeakable violence.